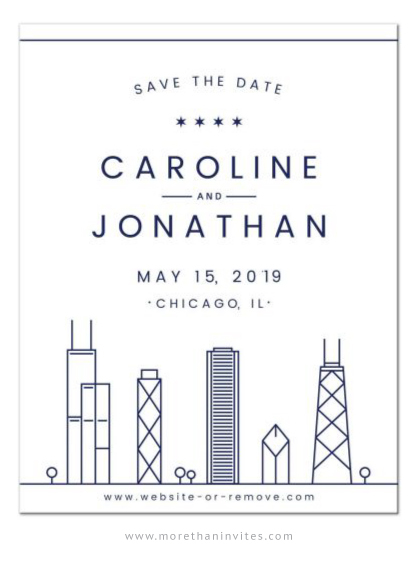 Modern, navy blue and white Chicago skyline wedding Save the date announcements featuring a stylized illustration of the city’s skyline. The style is simple and minimal. Ideal for a destination wedding in Chicago. Available from Lemon leaf prints.